Some of the seventeen and a half thousand people who live there must have experienced failure and disappointment. If they have, the bruises are not visible in their town centre of Nantwich in East Cheshire. Nantwich is not easy to travel to by road. The nearby stretch of the M6 is called the Cheshire Crawl by locals. Nantwich is, though, the prettiest town in the North of England. Chester has more historic buildings but it is a city. Per square foot, Nantwich is the champion for elegant architecture and charming space. The salt industry of Nantwich was established to serve Roman garrisons at Chester and Stoke. The Domesday Book listed eight salt houses. The industry disappeared or expired in the mid-19th Century. 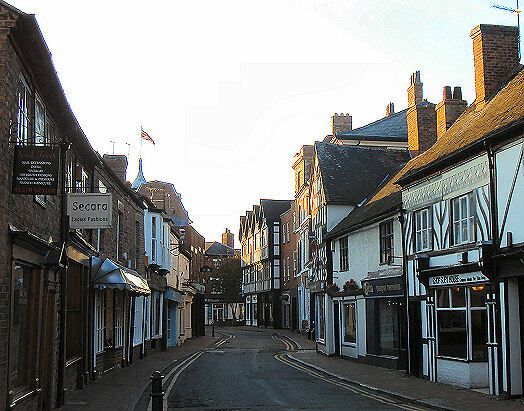 Not burdened by commerce, and attractive to commuters, Nantwich has been able to honour tradition and remain calm. It stands as a monument to Elizabethan achievement. St Mary’s Church is listed as a grade one building and deserves to be. The town was destroyed by fire in 1583. Elizabeth 1 added £1000 to the nationwide collection that was organised to rebuild Nantwich and house the 900 homeless. The goodwill of Elizabeth was forgotten in the Civil War. The people of the town declared for Parliament. The Royalists objected, and in 1644 there was the six week long Battle of Nantwich. Since 1973 the Battle has been commemorated by the Sealed Knott, a local registered charity that stages Civil War history for the local schools. Less traditional is the Studio nightclub. The Student Project, which happens every Tuesday, is supposed to be the biggest music event for students in Cheshire. Despite the urban mix of hip hop, chill out and house, calm prevails in Nantwich. Crime figures average at about a 100 a month but over half of these relate to anti-social behaviour. Drug offences peak at two a month. The local press reported as a headline the dumping of ten kittens in a box in a garden. The kittens were cute, though. The Nantwich Players Theatre has 82 seats and its repertory consists of five plays and a youth theatre production. Four of the five plays are the predictable commercial bankers but Playhouse Creatures, which can be seen next February, does not sweeten feminist protest. Nantwich Museum has interesting exhibitions, which are free and look at the lives of ordinary folk in the past. The town pubs are okay rather than life enhancing but Café de Paris is a coffee shop that impresses aficionados of the beverage. Nantwich has a football team that plays in the Evo Stick League. Fans do not expect inspirational football but the away trips to Buxton, Kidsgrove and Beesley will be pleasant as was the trip to Wembley in 2006 when Nantwich won the FA Vase trophy. Nantwich also has a Rugby League team, not what would be expected in leafy affluent Cheshire. 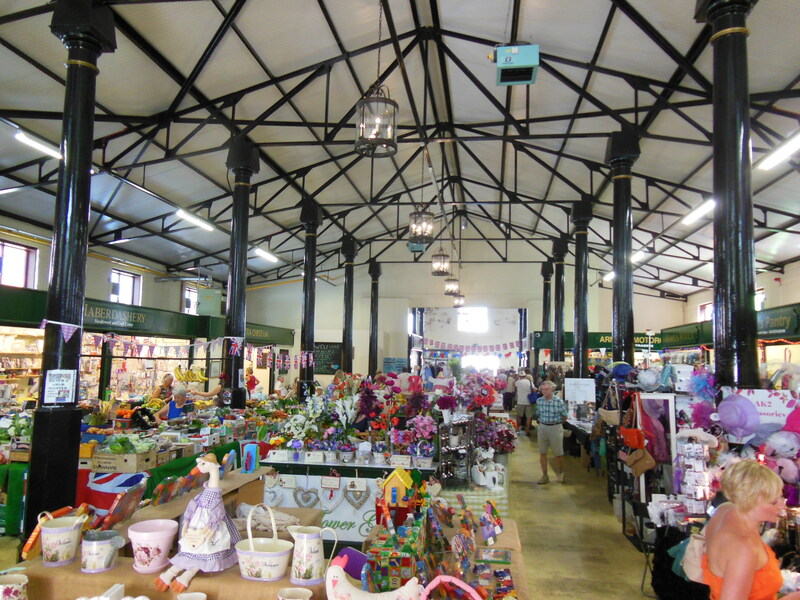 The Market Hall is bright and inspires optimism in a way that most markets today do not. Every year as part of the Nantwich Agricultural Show, the Annual International Cheese Awards are held in the town. Later, frustrated car drivers can nibble on a piece of prize winning cheese while stuck on the M6. Posted in Annual International Cheese Awards, Battle Of Nantwich, Cafe de Paris, Civil War, Domesday Book, Elizabeth 1, Evo Stick League, FA Vase Trophy, M6 motorway, Nantwich, Nantwich Agricultural Show, Nantwich Players Theatre, Playhouse Creatures, Studio Nantwich, Wembley and tagged Culture, tourism, travel, UK, UK history on August 8, 2015 by Howard Jackson.